For those working from home, or those who spend a lot of time sitting in front of a workspace, having a reliable table is necessary. A table has to have the right blend of being spacious enough to hold all your things, while also being small enough not to overcrowd the room. Those who pick the wrong tables often end up having a less than enthusiastic time working on it, compared to one that suits your needs. The Bestar Adjustable Table is a great purchase for those wanting a table that can adapt to any size. It has an adjustable height, giving you flexibility when it comes to picking chairs. With its electric mechanism, you can adjust the table from 28 to 45 inches in height. It also gives you the best option of being comfortable, no matter how tall or short you are. You just have to find the right height you find comfortable when sitting, and adjust the table easily. This is not just for the chair’s height. 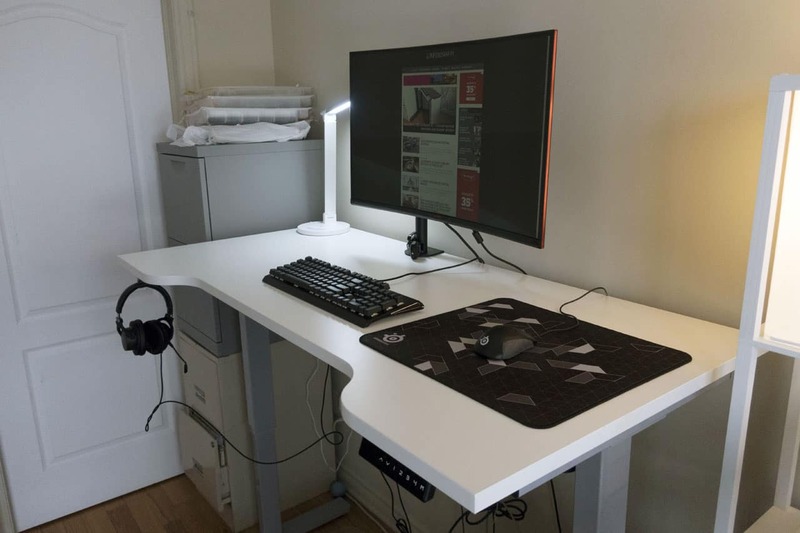 The table’s size also indicates the eye level for your computer screen. The perfect height for you means that you do not have to constantly look down or glance up just to see your work. This can be especially beneficial for your neck and back in the long run. This process has no hassle, and you can do it multiple times daily no worries too. This can be a great selling point for those who have to share tables. This way, all users of the table can adjust it to their preferred heights, giving each one a very unique and personalized setting. Because at the end of the day, all you really want while working is comfort. Having to sit hours at a time in front of a desk can be very exhausting. It can also be very uncomfortable if not sized to your preference. A table that adapts to your needs, while also providing very spacious areas, can prove invaluable during the many hours you spend working on it. Aside from the adjustable table size, you also get to pick on the color you want. While this may not seem like a lot, those who work desk jobs often found that the color of the desk affects the eyes and mood. If you are looking at something the whole day, it can help create the atmosphere while working. Whether this is a good or a bad thing depends on you. For some, having a darker shade on their table relaxes the eyes. A complete opposite of the usually white screens they often look at while working. For others, a brightly colored table is just the thing that can lift the ambience in an otherwise dull office. Of course, lastly there is the space the table can create for your things. It offers a curved top that optimizes the space you can have, while also not taking a lot of room.